Hey friends – Happy Halloween! I probably should be sharing something festive, but instead, I’m sharing how I styled my nightstand, which is totally unrelated. I promise I’m not a scrooge! Anyway, when styling nightstands, I stick to two main principles: pretty and practical. Hey friends! Happy Fall. Is it super warm where you live? We have been having 80 degree temps for a few weeks now and I love it, but do miss the cooler mornings. In any event, the temps didn’t stop me from freshening up our home for fall. I wanted a minimalistic vibe with a neutral theme but I couldn’t resist a few pops of color and some fresh, fall blooms. Happy Friday! The Nordstrom Anniversary sale opened yesterday for early access (aka card-holders), ya know, in case you hadn’t heard on every blog. 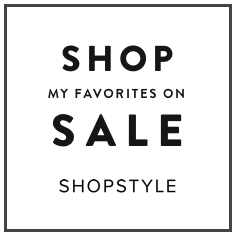 😉 Today, I’m not only sharing my top picks but also, how you can shop the sale early even if you’re not a card-holder! We have been sleeping on our king sized Tuft & Needle mattress, in our new master bedroom, for a little over one month now and the verdict is – we LOVE it. But, there are definitely some things you should know if you’re thinking about getting one. Remember when I shared the plans for our master bedroom makeover with you and asked for your help picking a rug? Well, the verdict is in and today I’m taking you on a tour of our new oasis. Y’all have good taste! But you can’t sleepover…. Happy Wednesday! I’ve seriously been counting down for the weekend since Monday. But, dreaming of our new master bedroom plan has been a great distraction and today I’m sharing our tentative plan! But we need your help – will you help us pick a rug? There’s a poll below! Office Progress and a GIVEAWAY! Happy Thursday, friends! I wanted to pop in and give you an update on my office refresh project. I’ve definitely made progress but still have some outstanding items. But, an update was the perfect time to give away one of my favorite prints in my office gallery wall!